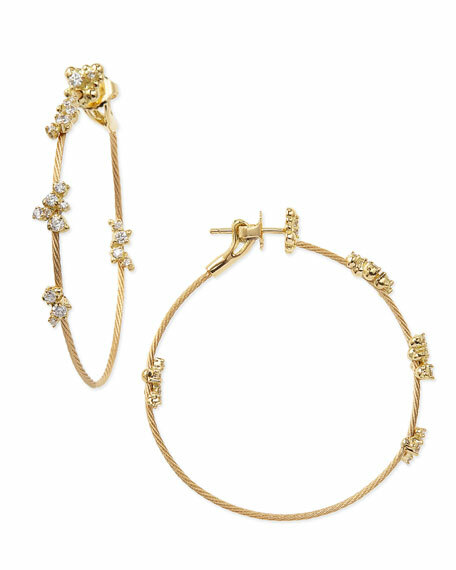 Malleable 18-karat yellow gold rope shapes hoop earring. Prong-set, round-cut white diamond confetti. Post backs with fixed butterfly back. Approx. 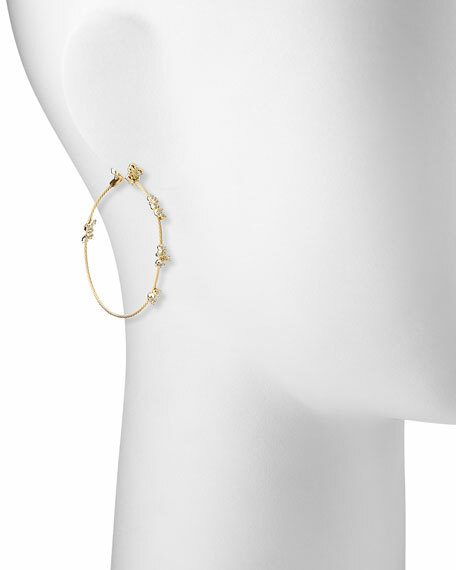 1 1/2" (40mm) hoops. For in-store inquiries, use sku #932742.